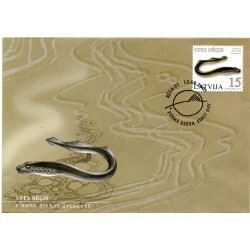 Latvian First Day Cover There are 180 products. 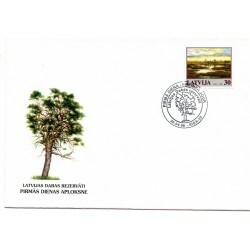 The Latvian original First Day Cover in a good condition. Time period of Latvian second independence from 2000 up untill nowadays. Dimensions – approx size 115 mm x 161 mm. Material –paper Tittle - Eiropa Issue type - unused Color – multi color Desinger – V.Batrags Stamped date – 24.04.2005 The pictures are from actual item that you will recieve. 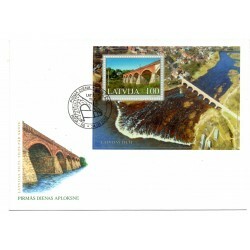 The Latvian original First Day Cover in a good condition. Time period of Latvian second independence from 2000 up untill nowadays. Dimensions – approx size 115 mm x 161 mm. Material –paper Tittle - Alūksne Issue type - unused Color – multi color Desinger – J.Utāns Stamped date – 11.02.2005 The pictures are from actual item that you will recieve. 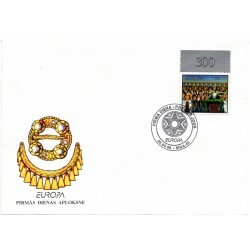 The Latvian original First Day Cover in a good condition. Time period of Latvian second independence from 2000 up untill nowadays. Dimensions – approx size 115 mm x 161 mm. 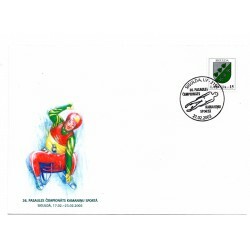 Material –paper Tittle - Meža Silpurene Issue type - unused Color – multi color Desinger – I.Garklāva Stamped date – 05.03.2005 The pictures are from actual item that you will recieve. 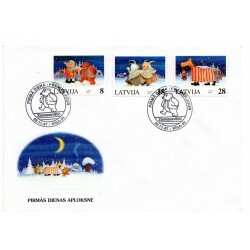 The Latvian original First Day Cover in a good condition. Time period of Latvian second independence from 2000 up untill nowadays. Dimensions – approx size 115 mm x 161 mm. 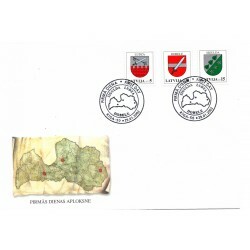 Material –paper Tittle - Talsi Issue type - unused Color – multi color Desinger – J.Utāns Stamped date – 11.02.2005 The pictures are from actual item that you will recieve. 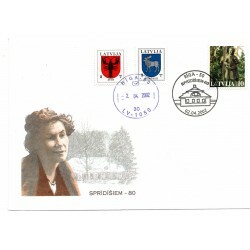 The Latvian original First Day Cover in a good condition. Time period of Latvian second independence from 2000 up untill nowadays. Dimensions – approx size 115 mm x 161 mm. Material –paper Tittle - Jānis Rainis Issue type - unused Color – multi color Desinger – J.Utāns Stamped date – 10.09.2005 The pictures are from actual item that you will recieve. 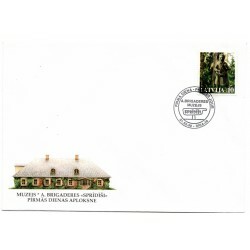 The Latvian original First Day Cover in a good condition. Time period of Latvian second independence from 2000 up untill nowadays. Dimensions – approx size 115 mm x 161 mm. 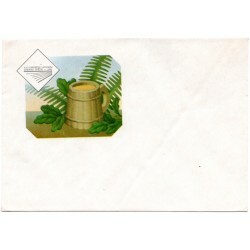 Material –paper Tittle - Gaismas pils Issue type - unused Color – multi color Desinger – J.Utāns Stamped date – 27.08.2005 The pictures are from actual item that you will recieve. 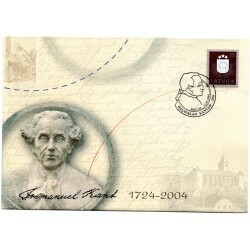 The Latvian original First Day Cover in a good condition. Time period of Latvian second independence from 2000 up untill nowadays. Dimensions – approx size 115 mm x 161 mm. 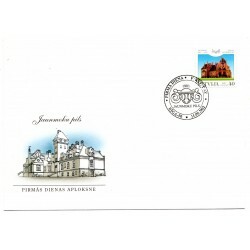 Material –paper Tittle - Jēkabpils Issue type - unused Color – multi color Desinger – J.Utāns Stamped date – 11.02.2005 The pictures are from actual item that you will recieve. 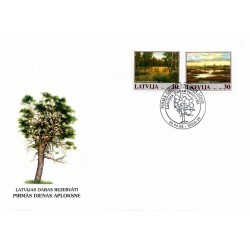 The Latvian original First Day Cover in a good condition. Time period of Latvian second independence from 2000 up untill nowadays. Dimensions – approx size 115 mm x 161 mm. 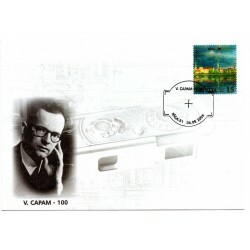 Material –paper Tittle - V.capam-100 Issue type - unused Color – multi color Desinger – I.Sabulis Stamped date – 04.09.2005 The pictures are from actual item that you will recieve. 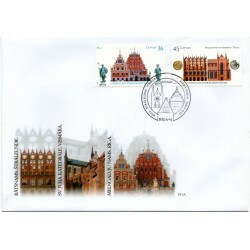 The Latvian original First Day Cover in a good condition. Time period of Latvian second independence from 2000 up untill nowadays. Dimensions – approx size 115 mm x 161 mm. 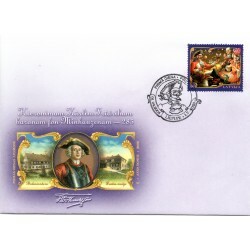 Material –paper Tittle - Latvijas Tilti Issue type - unused Color – multi color Desinger – J.Utāns Stamped date – 24.09.2005 The pictures are from actual item that you will recieve. 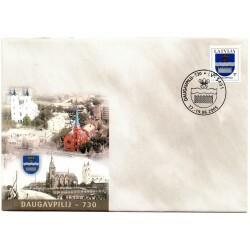 The Latvian original Cover in a good condition. Time period of Latvian second independence from 2000 up untill nowadays. Dimensions – approx size 115 mm x 161 mm. Material –paper Tittle - Helsinki 2004 Issue type - unused Color – multi color Desinger – without desinger Stamped date – 29.-31.10.2004 The pictures are from actual item that you will recieve. 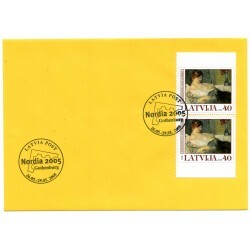 The Latvian original Cover in a good condition. Time period of Latvian second independence from 2000 up untill nowadays. Dimensions – approx size 115 mm x 161 mm. Material –paper Tittle - Leipzig Issue type - unused Color – multi color Desinger – without desinger Stamped date – 24.-26.09.2004 The pictures are from actual item that you will recieve. 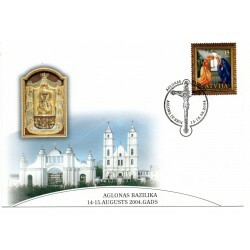 The Latvian original First Day Cover in a good condition. Time period of Latvian second independence from 2000 up untill nowadays. Dimensions – approx size 115 mm x 161 mm. Material –paper Tittle - VMM-100 Issue type - unused Color – multi color Desinger – I.Sabulis Stamped date – 15.09.2005 The pictures are from actual item that you will recieve. 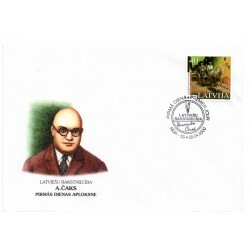 The Latvian original First Day Cover in a good condition. Time period of Latvian second independence from 2000 up untill nowadays. Dimensions – approx size 115 mm x 161 mm. Material –paper Tittle - Mērnieku Laiki- 125 Issue type - unused Color – multi color Desinger – J.Utāns Stamped date – 21.05.2004 The pictures are from actual item that you will recieve. 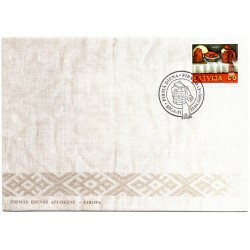 The Latvian original Cover in a good condition. Time period of Latvian second independence from 2000 up untill nowadays. Dimensions – approx size 115 mm x 161 mm. 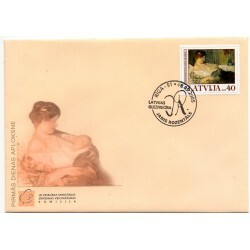 Material –paper Tittle - Paris Issue type - unused Color – multi color Desinger – without desinger Stamped date – 26.06.-04.07.2004 The pictures are from actual item that you will recieve. 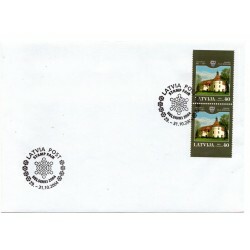 The Latvian original First Day Cover in a good condition. 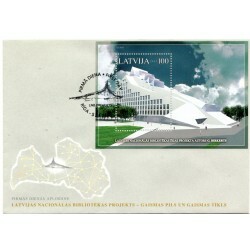 Time period of Latvian second independence from 2000 up untill nowadays Dimensions – approx size 115 mm x 161 mm. 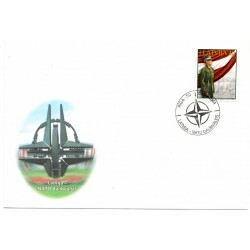 Material –paper Tittle - NATO Issue type - unused Color – multi color Desinger – without desinger Stamped date – 02.04.2004 The pictures are from actual item that you will recieve. 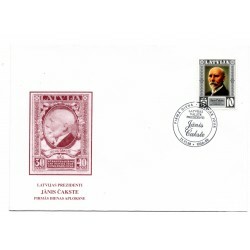 The Latvian original Cover in a good condition. Time period of Latvian second independence from 2000 up untill nowadays. Dimensions – approx size 115 mm x 161 mm. Material –paper Tittle - Essen Issue type - unused Color – multi color Desinger – without desinger Stamped date – 3.-5.06.2004 The pictures are from actual item that you will recieve. 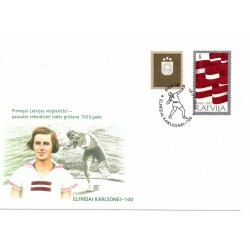 The Latvian original First Day Cover in a good condition. Time period of Latvian second independence from 2000 up untill nowadays. Dimensions – approx size 115 mm x 161 mm. 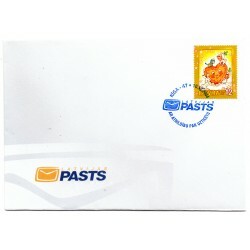 Material –paper Tittle - LTV 50 Issue type - unused Color – multi color Desinger – without desinger Stamped date – 03.011.2004 The pictures are from actual item that you will recieve. 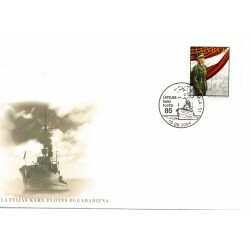 The Latvian original First Day Cover in a good condition. Time period of Latvian second independence from 2000 up untill nowadays. Dimensions – approx size 115 mm x 161 mm. 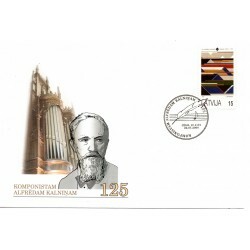 Material –paper Tittle - Kārlim Irbītim -100 Issue type - unused Color – multi color Desinger – J.Utāns Stamped date – 14.10.2004 The pictures are from actual item that you will recieve. 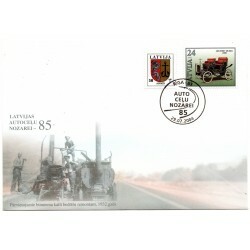 he Latvian original First Day Cover in a good condition. Time period of Latvian second independence from 2000 up untill nowadays. Dimensions – approx size 115 mm x 161 mm. 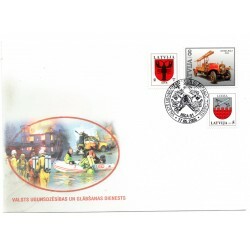 Material –paper Tittle - E.Kalniņam 100 Issue type - unused Color – multi color Desinger – J.Utāns Stamped date – 25.10.2004 The pictures are from actual item that you will recieve. 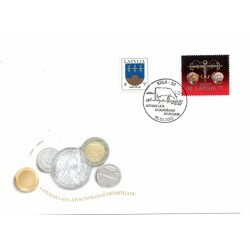 The Latvian original First Day Cover in a good condition. Time period of Latvian second independence from 2000 up untill nowadays. Dimensions – approx size 115 mm x 161 mm. 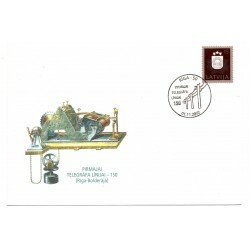 Material –paper Tittle - Rīgas Zoo-90 Issue type - unused Color – multi color Desinger – J.Utāns Stamped date – 14.10.2002 The pictures are from actual item that you will recieve. 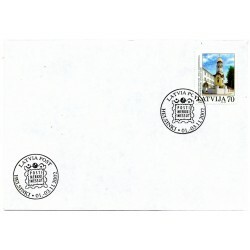 The Latvian original First Day Cover in a good condition. Time period of Latvian second independence from 2000 up untill nowadays. Dimensions – approx size 115 mm x 161 mm. 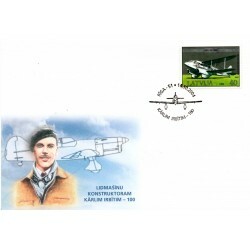 Material –paper Tittle - LR Satversmei-80 Issue type - unused Color – multi color Desinger – L.Danilāns Stamped date – 15.02.2002 The pictures are from actual item that you will recieve. 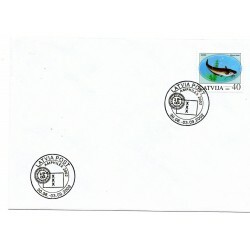 The Latvian original First Day Cover in a good condition. Time period of Latvian second independence from 2000 up untill nowadays. Dimensions – approx size 115 mm x 161 mm. Material –paper Tittle - Sprīdīšiem 80 Issue type - unused Color – multi color Desinger – J.Utāns Stamped date – 02.04.2002 The pictures are from actual item that you will recieve. 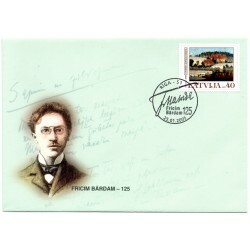 The Latvian original Cover in a good condition. Time period of Latvian second independence from 2000 up untill nowadays. Dimensions – approx size 115 mm x 161 mm. 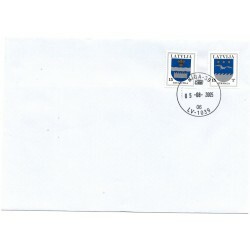 Material –paper Tittle - without tittle Issue type - unused Color – white Desinger – without desinger Stamped date – 7.-9.03.2002 The pictures are from actual item that you will recieve. 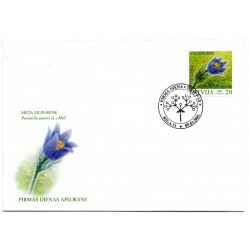 The Latvian original First Day Cover in a good condition. Time period of Latvian second independence from 2000 up untill nowadays. Dimensions – approx size 115 mm x 161 mm. Material –paper Tittle - Reņģe Issue type - unused Color – multi color Desinger – L.Danilāns Stamped date – 13.08.2005 The pictures are from actual item that you will recieve. 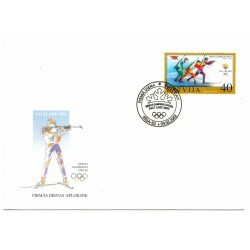 The Latvian original First Day Cover in a good condition. Time period of Latvian second independence from 2000 up untill nowadays. Dimensions – approx size 115 mm x 161 mm. Material –paper Tittle - Kaives Dižozols Issue type - unused Color – multi color Desinger – I.Sabulis Stamped date – 11.06.2005 The pictures are from actual item that you will recieve. 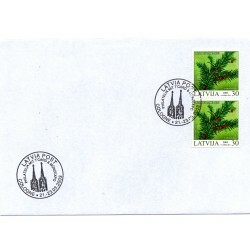 The Latvian original First Day Cover in a good condition. Time period of Latvian second independence from 2000 up untill nowadays. Dimensions – approx size 115 mm x 161 mm. 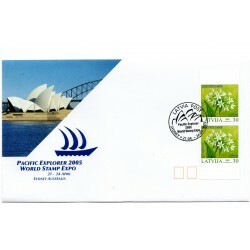 Material –paper Tittle - Upes Nēģis Issue type - unused Color – multi color Desinger – L.Danilāns Stamped date – 13.08.2005 The pictures are from actual item that you will recieve. 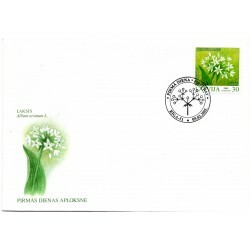 The Latvian original First Day Cover in a good condition. Time period of Latvian second independence from 2000 up untill nowadays. Dimensions – approx size 115 mm x 161 mm. 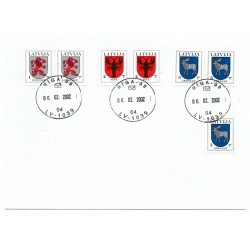 Material –paper Tittle - Liepājai -380 Issue type - unused Color – multi color Desinger – J.Utāns Stamped date – 18.03.2005 The pictures are from actual item that you will recieve. 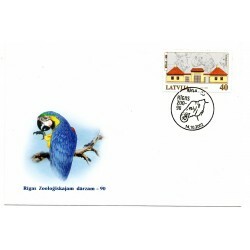 The Latvian original First Day Cover in a good condition. Time period of Latvian second independence from 2000 up untill nowadays. Dimensions – approx size 115 mm x 161 mm. 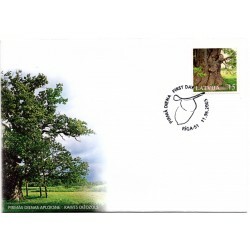 Material –paper Tittle - Jānim Bētiņam -175 Issue type - unused Color – multi color Desinger – E.Folks Stamped date – 29.04.2005 The pictures are from actual item that you will recieve. 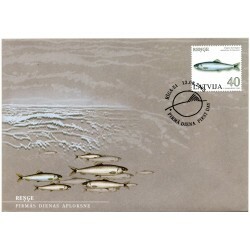 The Latvian original First Day Cover in a good condition. Time period of Latvian second independence from 2000 up untill nowadays. Dimensions – approx size 115 mm x 161 mm. 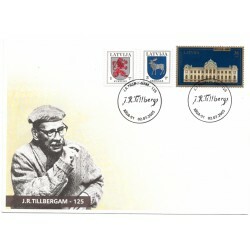 Material –paper Tittle - VUGD Issue type - unused Color – multi color Desinger – J.Utāns Stamped date – 17.05.2005 The pictures are from actual item that you will recieve. 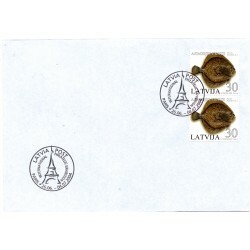 The Latvian original First Day Cover in a good condition. Time period of Latvian second independence from 2000 up untill nowadays. Dimensions – approx size 115 mm x 161 mm. 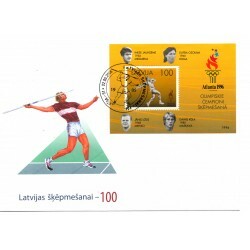 Material –paper Tittle - kamaniņu sports Issue type - unused Color – multi color Desinger – J.Utāns Stamped date – 21.02.2003 The pictures are from actual item that you will recieve. 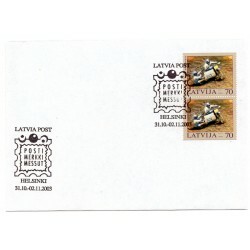 The Latvian original First Day Cover in a good condition. Time period of Latvian second independence from 2000 up untill nowadays. Dimensions – approx size 115 mm x 161 mm. 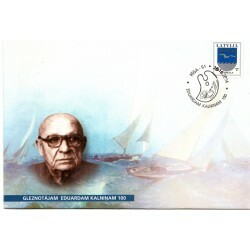 Material –paper Tittle - Fricim Bārdam -125 Issue type - unused Color – multi color Desinger – J.Utāns Stamped date – 25.01.2005 The pictures are from actual item that you will recieve. 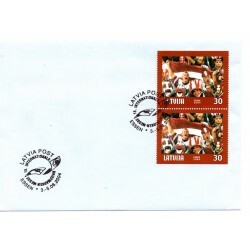 The Latvian original First Day Cover in a good condition. Time period of Latvian second independence from 2000 up untill nowadays. Dimensions – approx size 115 mm x 161 mm. 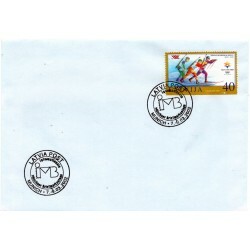 Material –paper Tittle - Eirovīzija 2003 Issue type - unused Color – multi color Desinger – J.Utāns Stamped date – 24.05.2003 The pictures are from actual item that you will recieve. 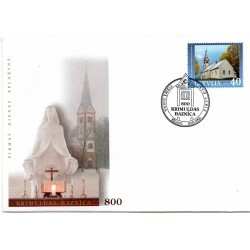 The Latvian original First Day Cover in a good condition. Time period of Latvian second independence from 2000 up untill nowadays. Dimensions – approx size 115 mm x 161 mm. 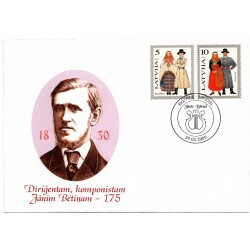 Material –paper Tittle - Latvijas Tilti Issue type - unused Color – multi color Desinger – J.Utāns Stamped date – 24.08.2002 The pictures are from actual item that you will recieve. 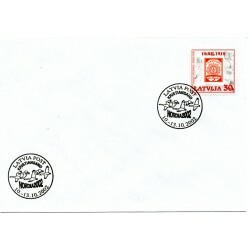 The Latvian original First Day Cover in a good condition. Time period of Latvian second independence from 2000 up untill nowadays. Dimensions – approx size 115 mm x 161 mm. Material –paper Tittle - Jaunmoku pils Issue type - unused Color – multi color Desinger – L.Danilāns Stamped date – 14.09.2002 The pictures are from actual item that you will recieve. 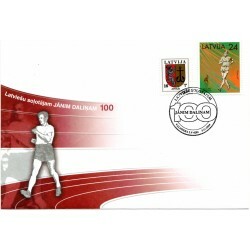 The Latvian original First Day Cover in a good condition. Time period of Latvian second independence from 2000 up untill nowadays. Dimensions – approx size 115 mm x 161 mm. Material –paper Tittle - Ziemassvētki Issue type - unused Color – multi color Desinger – I.Dambe Stamped date – 27.11.97 The pictures are from actual item that you will recieve. The Latvian original First Day Cover in a good condition. Time period of Latvian second independence from 2000 up untill nowadays. Dimensions – approx size 115 mm x 161 mm. Material –paper Tittle - Nagano 1998 Issue type - unused Color – multi color Desinger – G.Smelters Stamped date – 31.01.98 The pictures are from actual item that you will recieve. 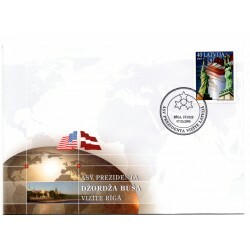 The Latvian original First Day Cover in a good condition. Time period of Latvian second independence from 2000 up untill nowadays. Dimensions – approx size 115 mm x 161 mm. Material –paper Tittle - Europa Issue type - unused Color – multi color Desinger – J.Utāns Stamped date – 28.03.98 The pictures are from actual item that you will recieve. 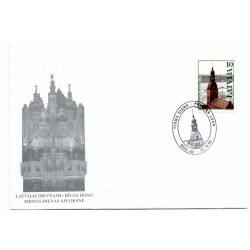 The Latvian original First Day Cover in a good condition. Time period of Latvian second independence from 2000 up untill nowadays. Dimensions – approx size 115 mm x 161 mm. 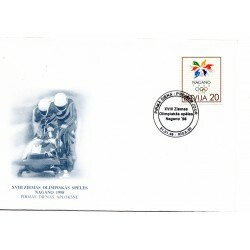 Material –paper Tittle - without tittle Issue type - unused Color – multi color Desinger – G.Smelters Stamped date – 09.05.1998 The pictures are from actual item that you will recieve. 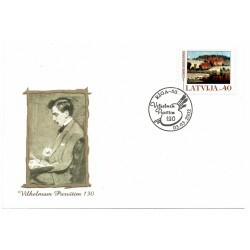 The Latvian original First Day Cover in a good condition. Time period of Latvian second independence from 2000 up untill nowadays. Dimensions – approx size 115 mm x 161 mm. 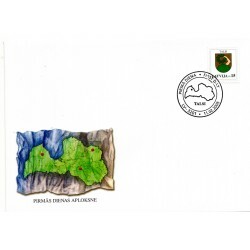 Material –paper Tittle - Rīgas Doms Issue type - unused Color – multi color Desinger – G.Smelters Stamped date – 23.10.98 The pictures are from actual item that you will recieve. 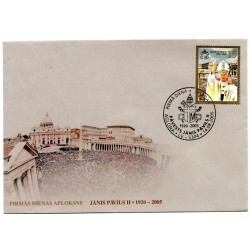 The Latvian original First Day Cover in a good condition. Time period of Latvian second independence from 2000 up untill nowadays. Dimensions – approx size 115 mm x 161 mm. 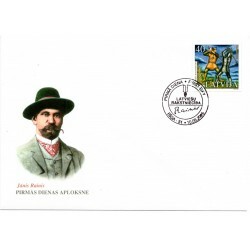 Material –paper Tittle - Ziemassvētki Issue type - unused Color – multi color Desinger – A.Apkalne Stamped date – 28.11.98 The pictures are from actual item that you will recieve. 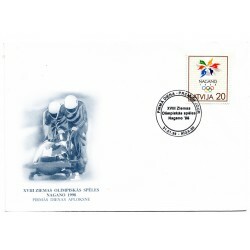 The Latvian original First Day Cover in a good condition. Time period of Latvian second independence from 2000 up untill nowadays. Dimensions – approx size 115 mm x 161 mm. 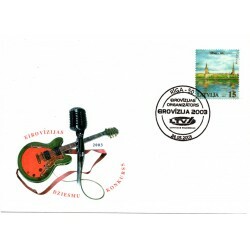 Material –paper Tittle - Ziemassvētki Issue type - unused Color – multi color Desinger – R.Ivanovskis Stamped date – 27.11.99 The pictures are from actual item that you will recieve. 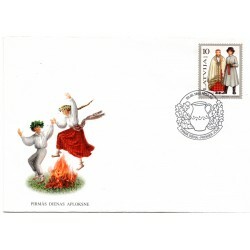 The Latvian original First Day Cover in a good condition. Time period of Latvian second independence from 2000 up untill nowadays. Dimensions – approx size 115 mm x 161 mm. 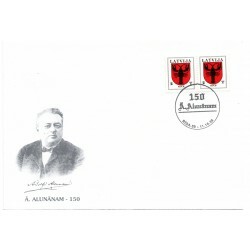 Material –paper Tittle - AAlunānam 150 Issue type - unused Color – multi color Desinger – L.Danilāns Stamped date – 11.10.98 The pictures are from actual item that you will recieve. 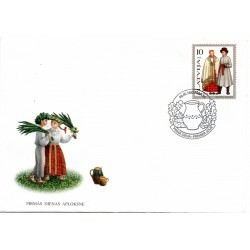 The Latvian original First Day Cover in a good condition. Time period of Latvian second independence from 2000 up untill nowadays. Dimensions – approx size 115 mm x 161 mm. 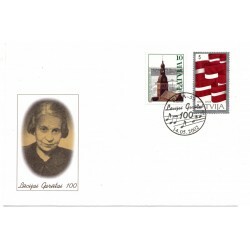 Material –paper Tittle - Saltlake 2002 Issue type - unused Color – multi color Desinger – L.Danilāns Stamped date – 09.02.2002 The pictures are from actual item that you will recieve. The Latvian original First Day Cover in a good condition. Time period of Latvian second independence from 2000 up untill nowadays. Dimensions – approx size 115 mm x 161 mm. 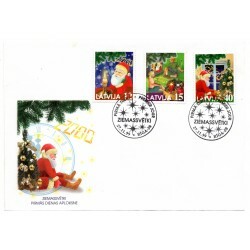 Material –paper Tittle - Ziemassvētki Issue type - unused Color – multi color Desinger - I.Dambe Stamped date – 29.11.97 The pictures are from actual item that you will recieve. 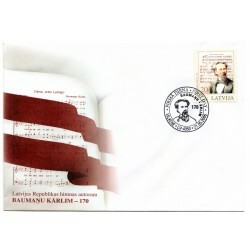 The Latvian original First Day Cover in a good condition. Time period of Latvian second independence from 2000 up untill nowadays. Dimensions – approx size 115 mm x 161 mm. 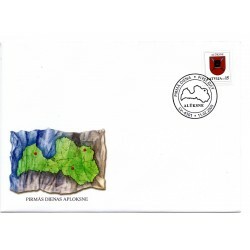 Material –paper Tittle - A.Čaks Issue type - unused Color – multi color Desinger – J.Utāns Stamped date – 08.04.2000 The pictures are from actual item that you will recieve. 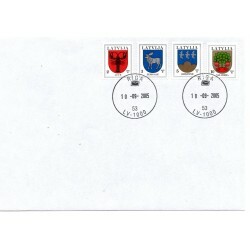 The Latvian original First Day Cover in a good condition. Time period of Latvian second independence from 2000 up untill nowadays. Dimensions – approx size 115 mm x 161 mm. Material –paper Tittle - Rātsnams,Vismāra Issue type - unused Color – multi color Desinger – L.Danilāns Stamped date – 12.07.2007 The pictures are from actual item that you will recieve.